A durable coating, which maintains and enhances the original texture of the underlying surface. Suitable for most exterior masonry surfaces, offering excellent resistance to the accumulation of dirt, protecting against weathering and atmospheric pollution. Coverage approx 10m2 per litre. 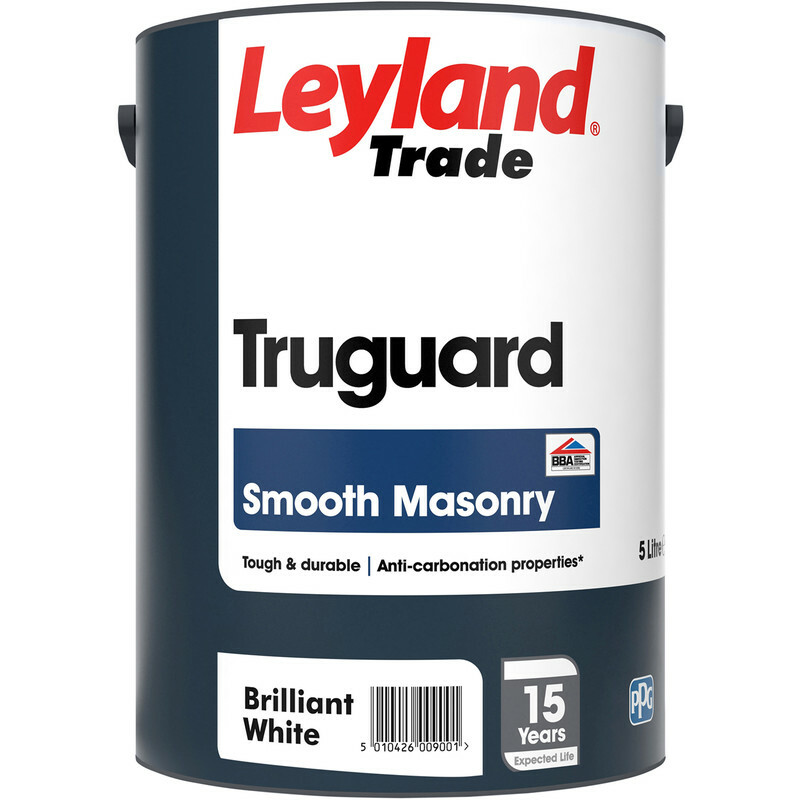 Leyland Trade Truguard Smooth Masonry Paint 5L Brilliant White is rated 4.9 out of 5 by 12. Rated 5 out of 5 by Mikes from Perfect! Bought to paint my garage, looks good, went on easily. Rated 5 out of 5 by LizzyOHM from Excellent for external painting................. I needed this paint for an ancient external wall. It goes on easily, covers well, and dries quickly. Just what I needed.